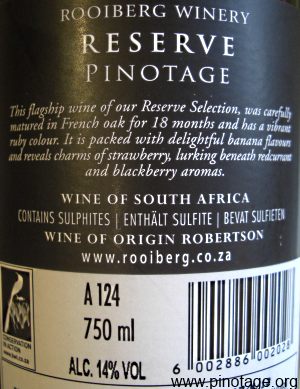 My Wine of the Month for August is Rooiberg Reserve Pinotage 2012. With a little age this stately statuesque expression of Pinotage is showing well with a taut core bedded in fleshy fruit, tannins in the background. Lovely balance, a delicious serious wine. 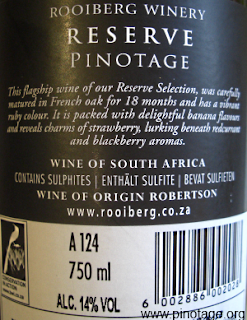 This wine was a Pinotage Top 10 winner in 2013. Making records with the most wins were Kanonkop Estate and Rijk's Cellar who both took home their 10th trophy. 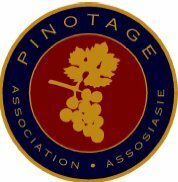 “When the Pinotage Association founded the Absa Top 10 Competition in 1997, we had a vision of not only honouring Pinotage wines but also to create legends. 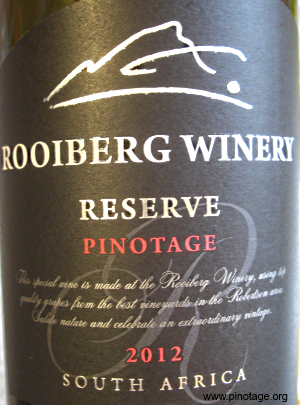 By winning Top 10 awards ten times, Kanonkop and Rijk’s have now undoubtedly established themselves not only as legendary producers of Pinotage, but icons in the South African wine industry, too. Enjoying their first trophy were Paarl's Ayama and Worcester-based Overhex Wines International. Stellenbosch, Paarl and Durbanville each are home to two winners, and there are four wines each from the 2013 and 2014 vintages. The judging panel were Duimpie Bayly, winemakers Neil Ellis, Fred Viljoen and Corlea Fourie, wine writer Samarie Smit, sommelier Georgio Meletio and viticulturist Stephan Joubert. It's another really interesting competition. One winemaker, Abrie Beeslaar, is represented three times, two for Kanokop and once for his own project, and another multi-winner, Pierre Wahl at Rijk's has two contenders. There's a godo mix of previous winner and newcomers and also a new name to me, Weathered Hands, from Saronsberg winemaker Dewaldt Heyns.